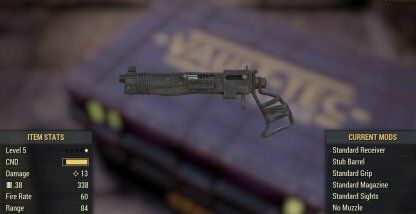 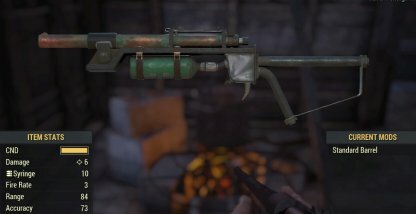 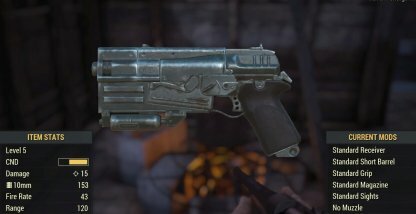 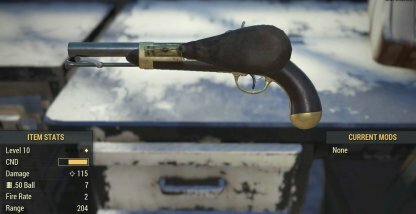 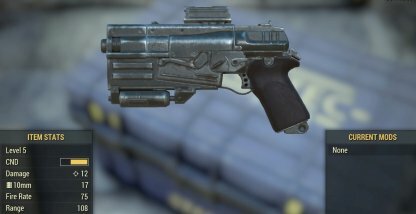 Check out the Pistol weapon category in Fallout 76! 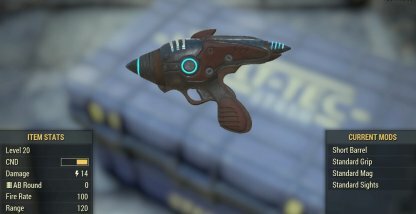 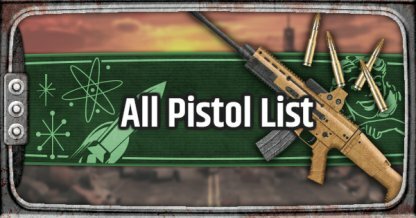 This guide will feature all in game Pistol, their stats, traits, & more! 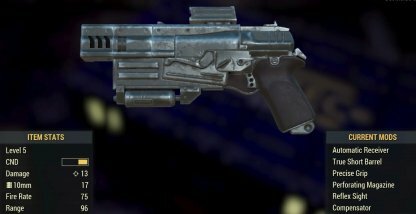 Pistols will get the job done when facing smaller and weaker enemies in the game. 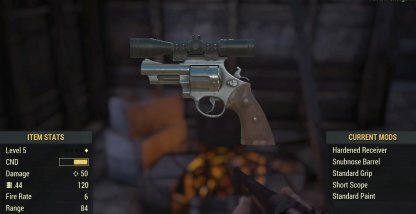 Enemies such as Ticks and Radroaches don't have much health, and using the Pistol will give you an easy time shooting them.